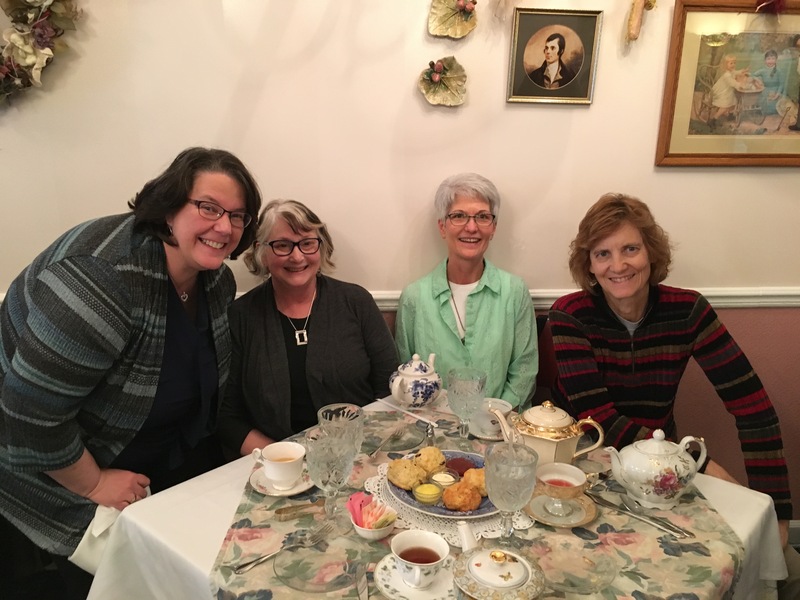 As the four of us sat down for an extended lunch recently, one of my friends asked, “What is saving your life right now?” We sighed, laughed, and began to reflect, all of us United Methodist clergywomen. We didn’t bother trying to unpack what the question meant because we instinctively knew. What is saving my life? Let me count the ways. Visiting the Detroit Zoo with my three friends on a spring-like February day and running into a former church member, who was carrying on his back a six-year-old Syrian refugee boy sponsored by the church. What joy was on his face! Hearing about a church that made several hundred paper hearts for Valentine’s Day and delivered them to a nearby Muslim congregation. 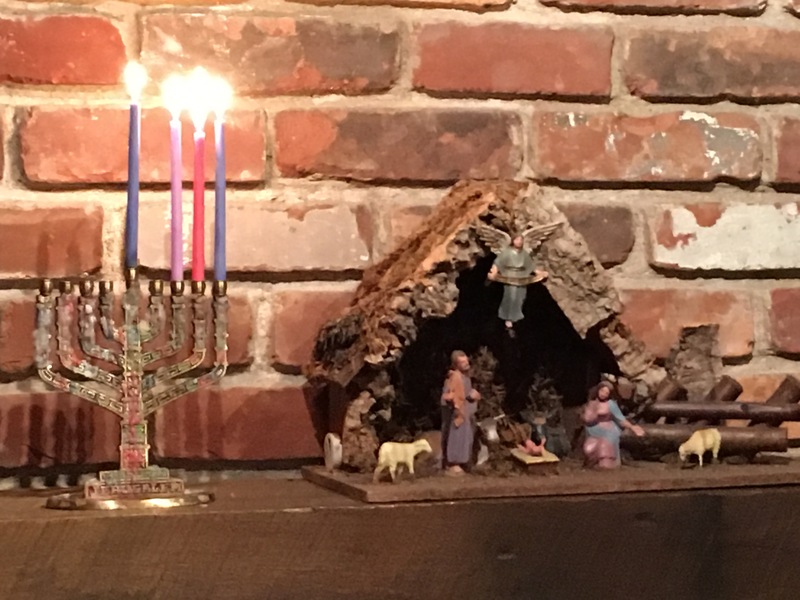 Celebrating both Christmas and Hanukkah with our Christian family and our son-in-law’s Jewish family. Talking about how we are all obligated to advocate for those who are on the margins, for we rise and fall together. Spending time with United Methodist college students who are grateful for a safe place to explore their faith and do not hesitate to make their voice heard. 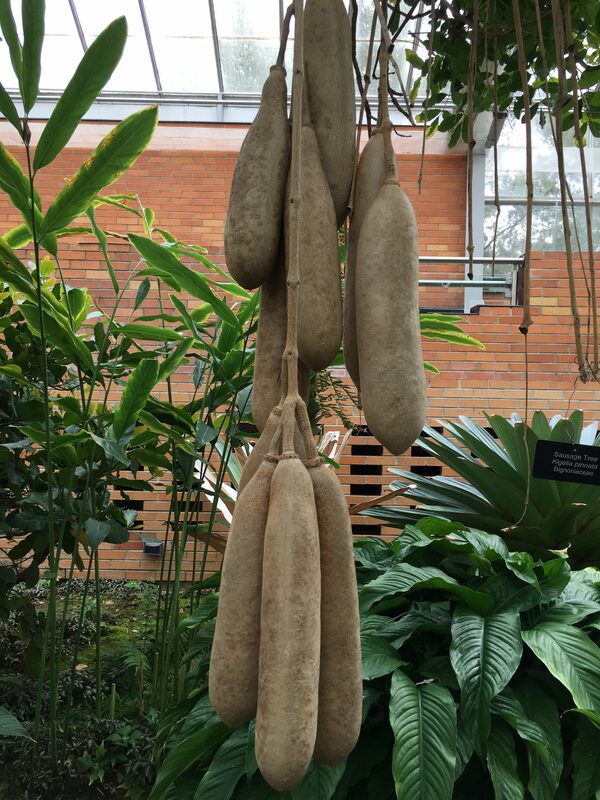 Walking through a botanical garden and marveling at the variety of God’s world, including the sausage tree, which is sacred to many communities. Observing how people are learning to dialogue about difficult issues in ways that are not defensive, accusatory or mean but rather honor others. Driving across Iowa on I-80 and listening to the splendid symphonies and symphonic dances of Sergei Rachmaninoff. Discussing theology with my new six-year-old friend Kinnick from Council Bluffs, who asked what a bishop is and then prayed for me in worship the next day. What is saving my life? Celebrating the lives of two dear friends who died recently. Dorothy Wimmer, who died on her 90th birthday, sent more encouraging cards and notes to me over the past twenty-four years than anyone else. And Helene Hill, a deaconess in The United Methodist Church, was a prophet and leader in the area of social justice for the very least of God’s children. If only I could be more like Dorothy and Helene. Reveling in the sweet song of a cardinal in a tree. 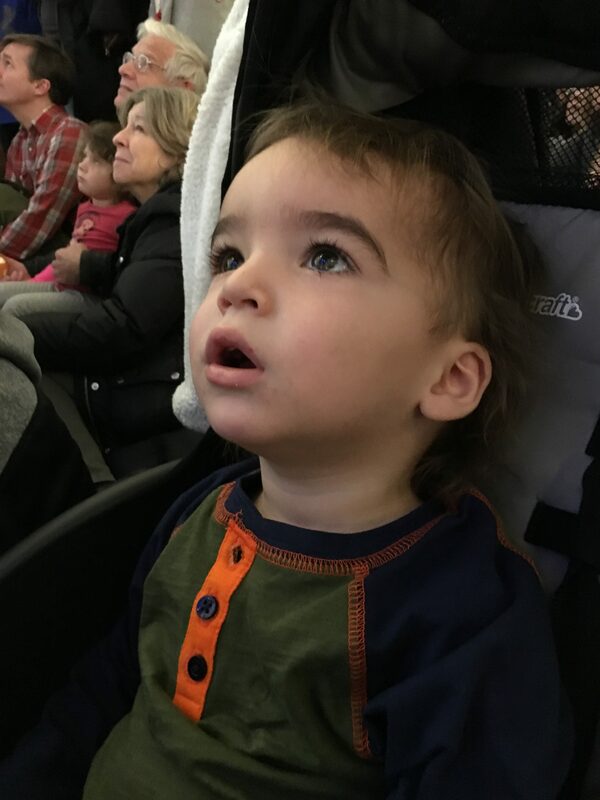 The wonder and innocence of small children. Appointive cabinets across the country working prayerfully, strategically, and fruitfully to make clergy appointments. Clergy giving themselves fully to ministry, yet also intentionally caring for their own physical, mental, and spiritual health. Those who believe that the church is a big, big tent where there is room for all of us to live in peace, follow our passions, and change the world together. 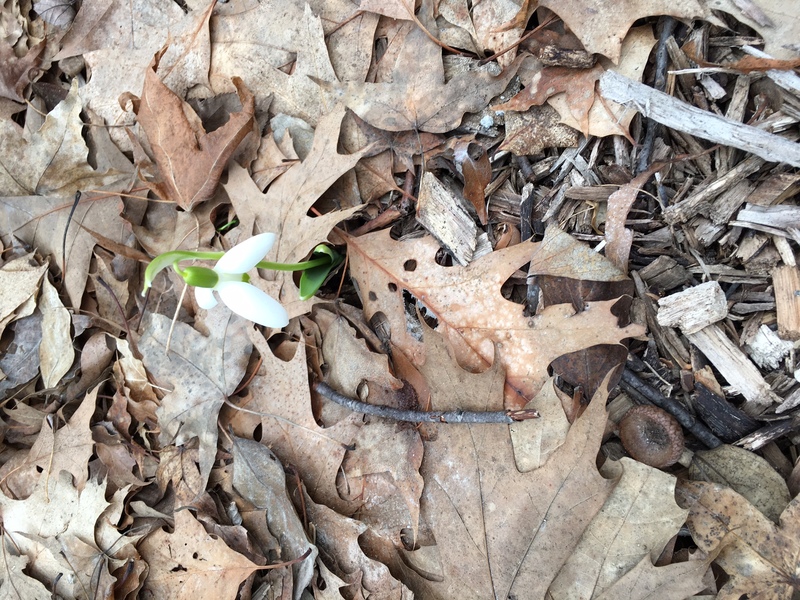 A flower poking up through the ground in February. Reading Exodus 3 and reminding myself that the God who self-identified as “I am who I am,” is also the One who will always be there for you and me. Late night comedy shows that remind me it’s okay to lighten up once in a while. Dear souls who pray for me and make sure I get where I am supposed to be. Interacting with people who are bent over by the pain of the world but at the same time stand tall and reach out to others in need. Welcoming to our churches those who are openly skeptical but have found a sanctuary where they can explore who God is and who they are called to become. A husband and children who love me as I am and are doing their part to change the world. Watching ordinary people do extraordinary things through the power of the Holy Spirit. Children of God who are hungry to learn, grow, and serve. Stimulating interfaith conversations with Jews, Muslims, Christians, and Buddhists, confirming that we humans are more alike than we are different. Saying “I’m sorry” and receiving grace. After Meals on Wheels was in the news last week, remembering my mother, who served Meals on Wheels for many years and modeled for me the importance of using our time and gifts to make a difference in the lives of others. Saving my life by losing it, and losing my life in order to find it. Your writings are close to poetry. So enjoyable to read. Thanks for keeping beauty in my life. Rev. Jim Nelson. Thank you for the reminder of so many things that “speak” to us, keep us going, are reminders of “God with us”!! Our new puppy who is now 16 weeks old and 35-40 pounds. She loves to sit on the back screened in porch. Sunday I realized I was out there with her for the sunrise and we were there for the sunset in the same day. My grandchildren, 5 year old grandson and 21 month old granddaughter and one unknown except to God who is due in September. My husband, dog and grandchildren accept me just as I am and love me into being more than I am. Connections being made by people in the community to help one another. Every youth and child who graces our church for a meal, fellowship and learning. I’m going to save your list, Laurie, and add a few of my own, to remind me of all the amazing things in my life. These ARE the things that save me. In a world that seems to be in disarray, your message reminds me God is always with me. When I recognize my many blessings I also know that my responsibility is to share. Your photos encouraged me to go through mine and see I have a pictorial record of what really saves me. You will never cease to enrich my faith. 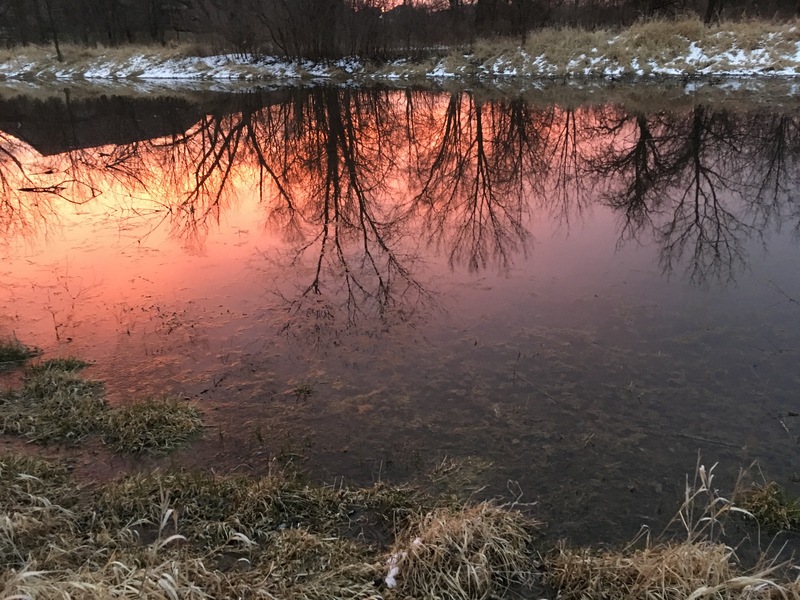 What beautiful insights in your message – gives me pause to take stock of what is saving my life right now – my family, friends, church, as I grieve the loss of a son last November, but rejoice that I have two more sons and their children. A long road ahead with some pain and sorrow, yet as I look forward to Easter, I find peace and contentment in my daily life…giving what I can to provide love and care for others. My family, especially my brilliant almost 14-year-old twin sons, my dogs and cat, my precious husband who keeps me laughing, my colleagues, quilting, music, reading. What is saving my life RIGHT NOW? Reading the inspirational words from our Bishop Laurie Haller! Loving the sounds of your words being read aloud during early morning meditation. Hope is abundant today. Bless you, dear Laurie Haller! Thanks so much for letting me know, Bob. God bless you and your congregation!